As I write this, my copy deadline is three days away, yet I've succeeded at crafting little more than my heading (easy enough: it's just the product's name, followed by my name) and my Associated Equipment sidebar (also easy), leaving a great expanse of nothing in between. 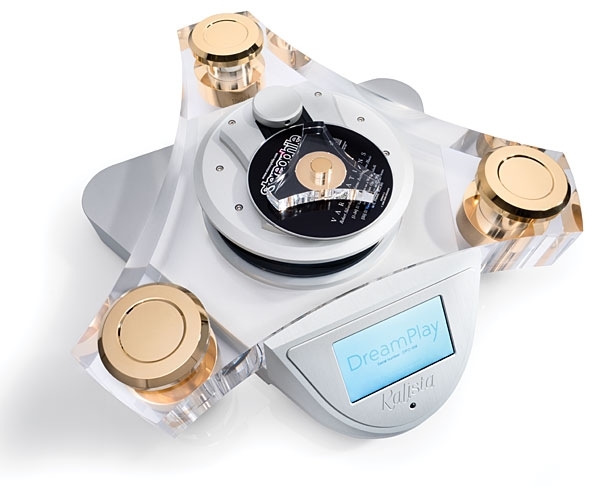 That's mostly because the Kalista DreamPlay One, a two-box CD player whose $43,000 price might once have kept me from even considering it as a real-world product, has stunned me into a sort of paralysis: I feel that anything I write will be inadequate to the task. I've been looking at this all wrong. My recent informal survey of ca $10,000 CD players has been based on two assumptions: that the people reading those reviews would be looking for their last-ever CD player, and that such a purchase would require Serious Money. In addition to such things as the best available design and parts, the most luxurious enclosure, and the utmost in reliability, Serious Money is presumed to buy durability of value: Any appliance that costs $10,000 today had damn well better be worth more than nothing in five or ten years. Whoever invented the adage "Good things come in small packages" wasn't into high-end audio. Most high-end products are huge and heavy, with massive power supplies, thick front panels, and battleship build quality. This dreadnought approach is justified if it directly affects the unit's sonic performance (as in the Mark Levinson No.31 transport, for example). In some products, however, the massive build can reflect a shotgun, overkill approach by the designer, or a mere fashion statement. For those of you not up on your Greek mythology, the Sirens were the archetypal seductresses whose sweet songs lured sailors to drive their ships upon the rocks. Siren CD players are those that soften and sweeten the sound. Their primary purpose is to seduce, to give a false sense of comfort to their victims; their fidelity to the truth is secondary to their desire to elicit a positive emotional reaction. For all its faultscomplex grammar, inconsistent rules of pronunciation, burdensomely endless vocabularyEnglish has proven itself a commendably plastic language. This is good for audio enthusiasts, in the US and elsewhere, whose choices in playback gear continue to evolve not only in substance and function but in name: Unlike many of the people who speak it, English can keep pace with the changes. MBL's Corona C15 monoblock has been one of my amplification references since I reviewed it in 2014, and as I've been reviewing DACs the past year or so, it was high time I spent time with one of the German company's digital products. "Black shiny products are tough to photograph at shows, so trust me when I say the new N31 is dripping with gorgeousness not reflected in this photo," wrote Jon Iverson in his report from the 2017 Consumer Electronics Show. And when I unpacked my review sample of the Noble Line N31 ($15,400), I was indeed taken with its looks. Back in May 2014, I reviewed NAD's Masters Series M50 Digital Music Player ($2499) and M52 Digital Music Vault ($1999 with 2TB storage). 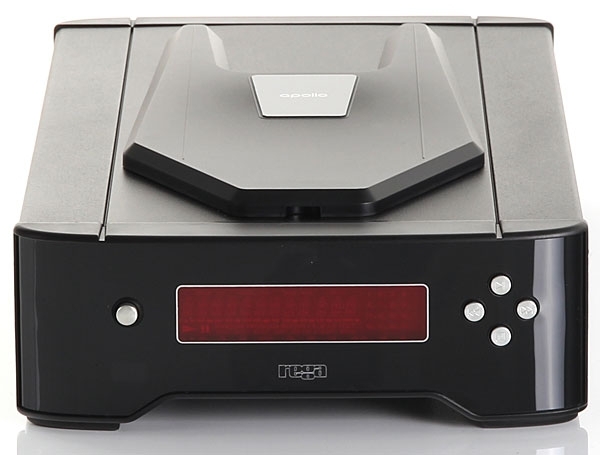 At the 2017 Consumer Electronics Show, NAD announced the M50.2, which is almost identical to the original M50 but now incorporates two 2TB hard disks, arranged as a 2TB RAID array, to ensure data integrity, and adds TosLink and coaxial digital inputs, Bluetooth with aptX for streaming music from a smartphone or tablet, and two single-ended analog inputsall for $3999, or $499 less than the combined cost of the two earlier products. Like the M50, the M50.2 offers WiFi and Ethernet connectivity, and has a CD drive, accessible via a slot on the front panel under the color TFT touchscreen, that can be used to play CDs, or rip them as FLAC, WAV, or high-bit-rate MP3 files. For some months now, I've lived mostly without music. To survive the dust and grit of the renovation of our Manhattan apartment, all electronics had to be covered with heavy plastic, the speakers encapsulated in large green lawn bags, and the listening room partitioned off with a temporary wall. 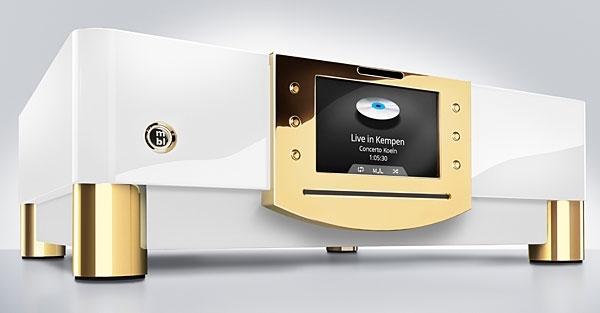 We could listen to music with our little 3.1-channel TV system in the den (eh) or through headphones (not! ), or we could decamp to our house in Connecticut, which we did as much as possible. I felt deprived. Now that it's all over, I'm grateful to have it backand grateful for the improvements in the main system, some of them direct byproducts of the renovation. The first time I heard a CD player in my own system was in 1983, the first year of the format's introduction in the West. CD players were generally hard to come by, but I had a friend who worked for Sony, and he came over with his new toy: Sony's next-to-top-of-the-line CD player. (I think it was a CDP-501.) We connected it to my systemat the time, Quad ESLs driven by a Luxman tube amplifier, with a Linn turntableand listened to some Sony demo CDs. I'll give the Giant Japanese Conglomerates one thing: they build their CD players like Humvees. The Sony CDP-X555ES ($900) exudes pride in ownership; from the simulated-wood side panels to the copper-shielded chassis, the Sony is a very impressive-looking player. Typically, however, Sony chose to marry a very sophisticated digital section with what appears to be a standard mid-fi analog section featuring Texas Instruments 5532 dual op-amps, carbon composition resistors, and inexpensive electrolytic coupling caps. The 555ES has both fixed and variable outputs, and a Toslink optical output. There is no coaxial digital output. The English saying "putting the cat among the pigeons" has an obvious meaning in a general sense, but when applied to commerce it conveys something more specific: bringing to market a product that will make mincemeat of the competition, presumed complacent by comparison. The phrase winked at me from the margins of an e-mail I received last year from Gary Dayton, Bryston Audio's VP of sales and marketing, whom I know from my visits to the Montreal Audio Fest. 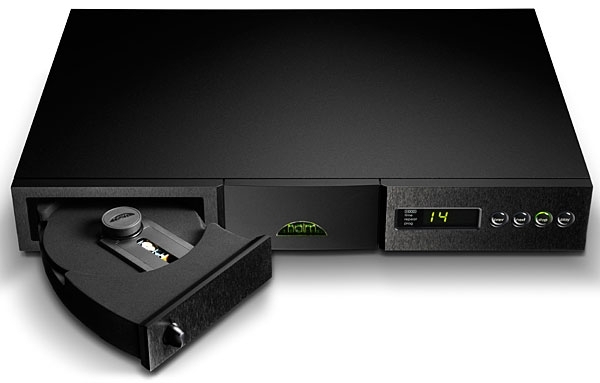 Referring to my ongoing series of reviews of ca-$10,000 CD playersthe best of which one might consider for the title The Last CD Player You'll Ever BuyDayton suggested I have a listen to his company's new BCD-3, which retails for the comparatively low price of $3495. I accepted almost at once, and set about adjusting an English saying for a Canadian product: With the BCD-3, has Bryston succeeded in putting the wolverine among the loons? While many of the "modded Philips" firms simply replace the plastic "Philips" or "Magnavox" logo with their own after completing all their internal circuit mojo, for the Sonographe SD-22 ($895), Conrad-Johnson goes quite a bit further by wrapping the stock plastic flimsy-luxe box with their own heavy metal skin, making for a much stronger and nonresonant chassis. Unlike many of the modkateers, C-J doesn't replace the fairly flimsy stock RCA jack assembly of the Philips machine; in my experience, this is one of the first things to go bad on such a unit, as the contact integrity is usually poor and gets worse. Replacing the RCA assembly with high-quality gold RCAs would've raised the price of the SD-22 another $50100, but I think the long-term reliability might be worth it. The SD-22 has no digital-out jacks, only analog outputs.